It was billed as one, if not the, biggest week of the Championship season. I think it’s fair to say that it delivered even if Seagulls supporters were left distraught after two late goals from Newcastle. There were more debating points than Question Time. The challenge of this division though can also work to your advantage when you are looking to move on from a defeat. Chris Hughton’s side have no time to dwell on the loss to Newcastle. And why should they? It was only three points dropped. Just four days before that game, they picked up a valuable victory against another side targeting promotion, Reading. Of course every game is important but the Albion now look forward to three games in seven days, trips to struggling Nottingham Forest and Rotherham and then next Friday a home game against an inconsistent Derby County. During Tuesday’s commentary, I said I felt the only thing that could really derail the seagulls automatic promotion chase was injuries to key players. It was of course disappointing to see Sebastien Pocognoli go off with a groin injury so early but it would be a bigger blow to lose Lewis Dunk, Dale Stephens or Glenn Murray. The squad can only be judged at the end of the season and not on one result, a defeat or a loss. The adage that this division is a marathon not a sprint is often used but I would say it’s more like Tough Mudder! It’s an assault course. Challenges are thrust in your way and you need strength and determination. You also need to work as a team and give support to your fellow teammates. You can smile when you overcome huge walls or successfully push through a muddy river. You may struggle to bypass some of the obstacles in your way, however the sense of satisfaction once you finish is that much better having taken on the challenge. The Albion can swiftly move on from the defeat to the Magpies with a decent points tally from the next three games. 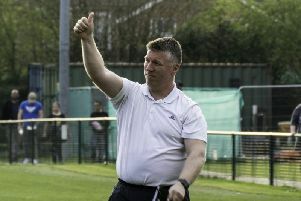 Tough matches beckon for their rivals but as BBC Sussex summariser Warren Aspinall has said since August, focus on your own game, get your own house in order and your quality will shine through. I don’t think there is any doubt that Chris Hughton will make changes for the up and coming games but this division, as Newcastle proved, is about having a good squad, as well as a good team. The Albion have another 12 matches to prove they are one of, if not THE best squad in the Championship starting this Saturday at the City Ground.